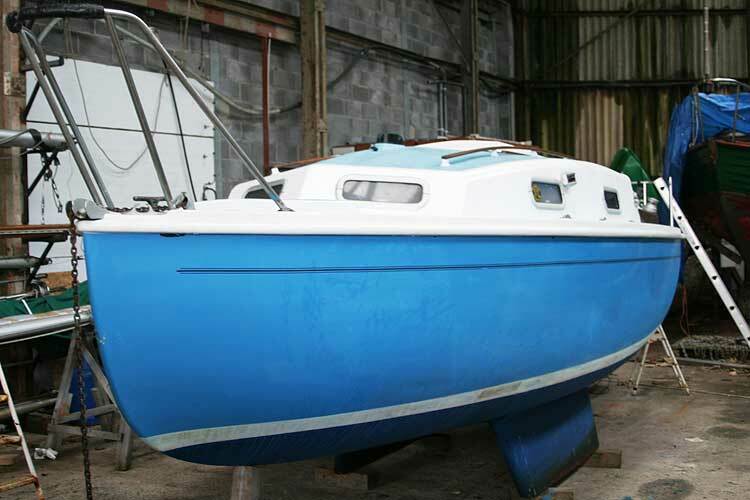 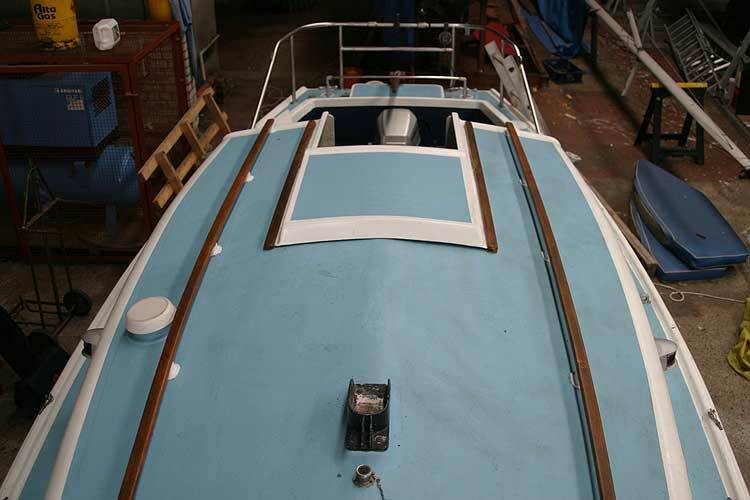 Currently stored ashore under cover she is in good condition and can be easily put back into commision. 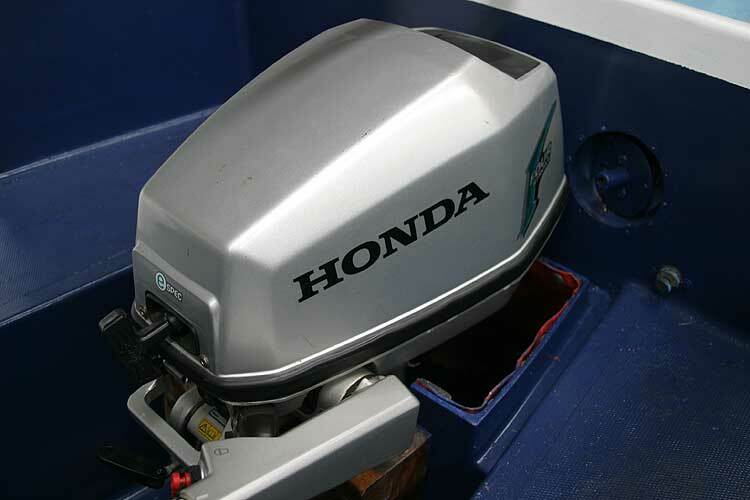 The outboard engine sits in a well in the cockpit. 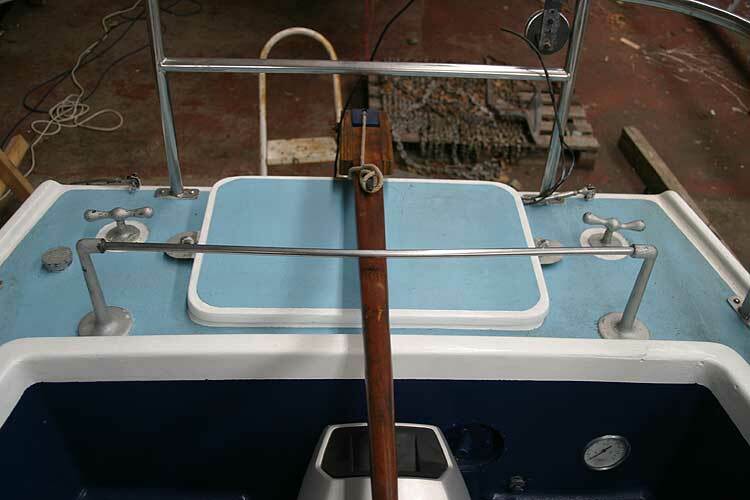 The sails are easily handled with a furping genoa and roller reefing on the main sail. 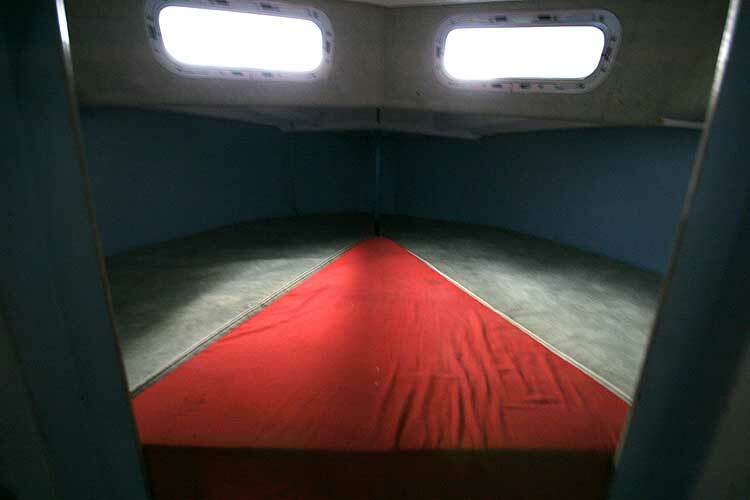 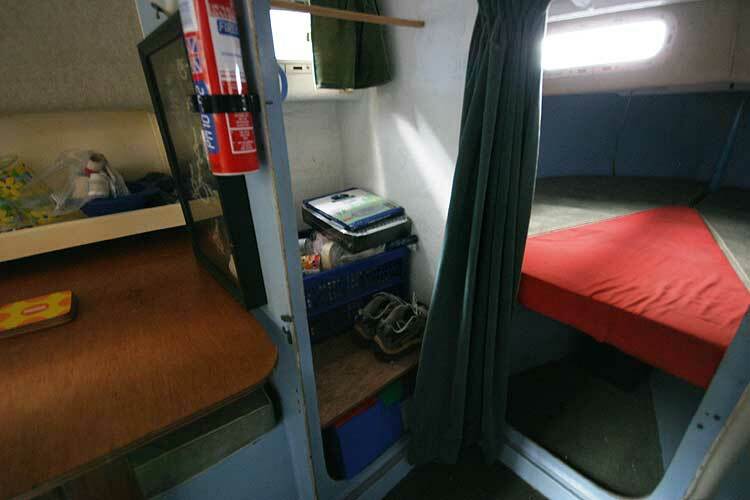 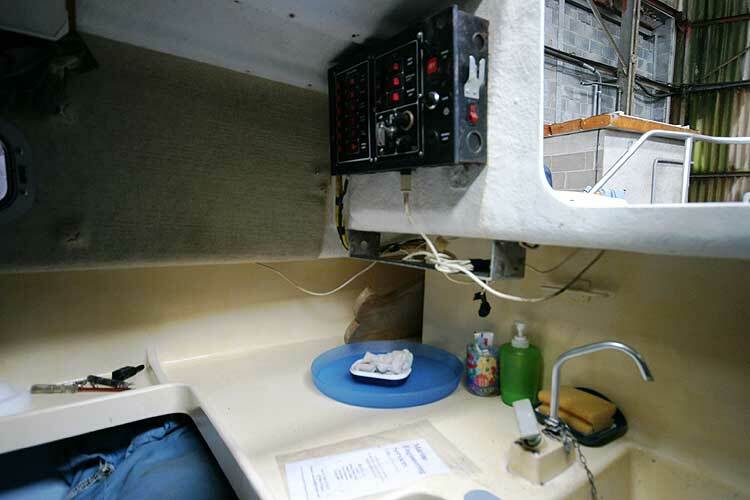 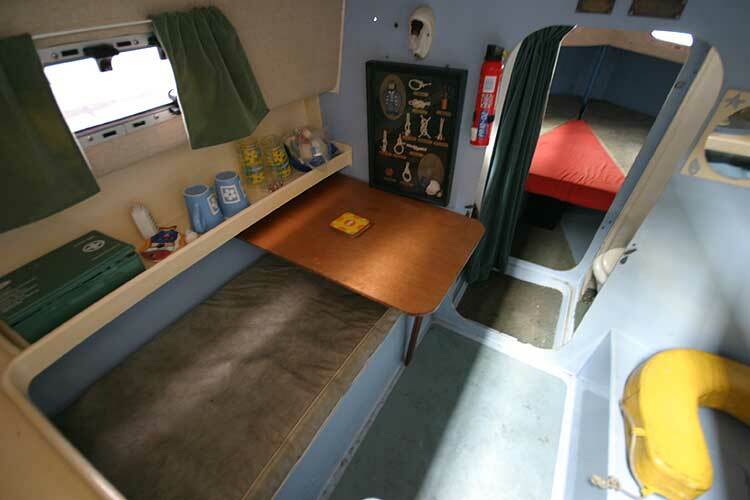 The accommodation features four full length berths in two cabins, a small galley and a marine toilet. 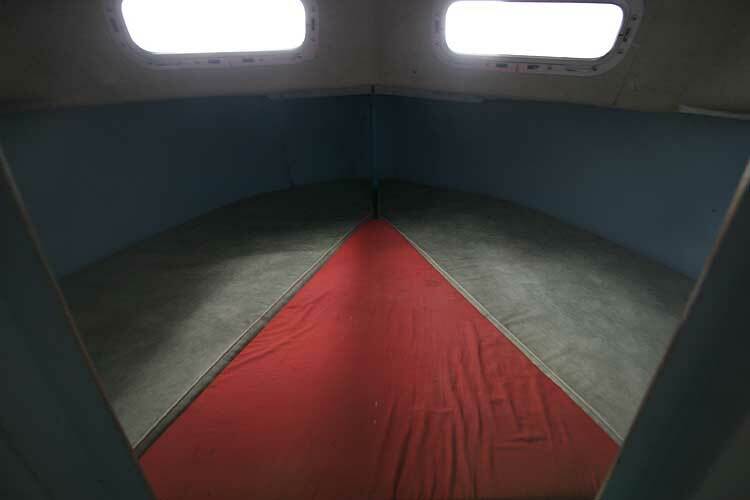 There is ample stowage under all berths. 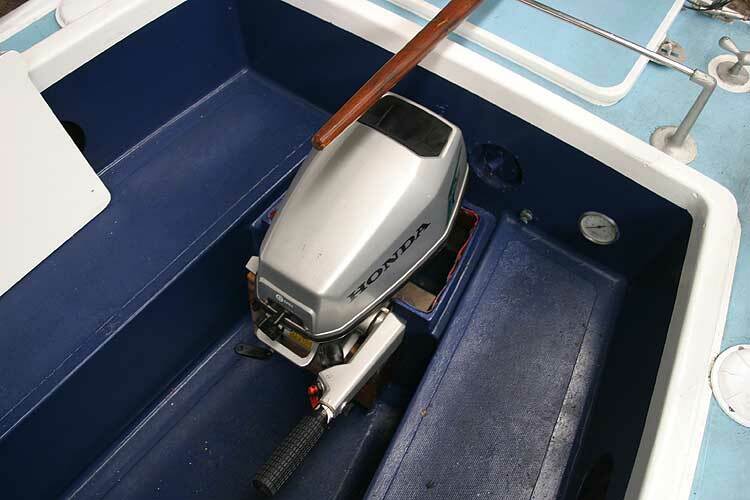 The engine is a Honda 5hp four stroke little used and in as new condition. 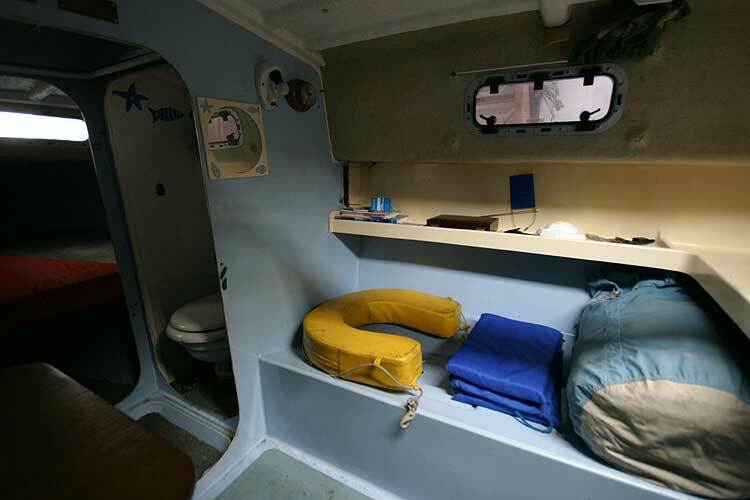 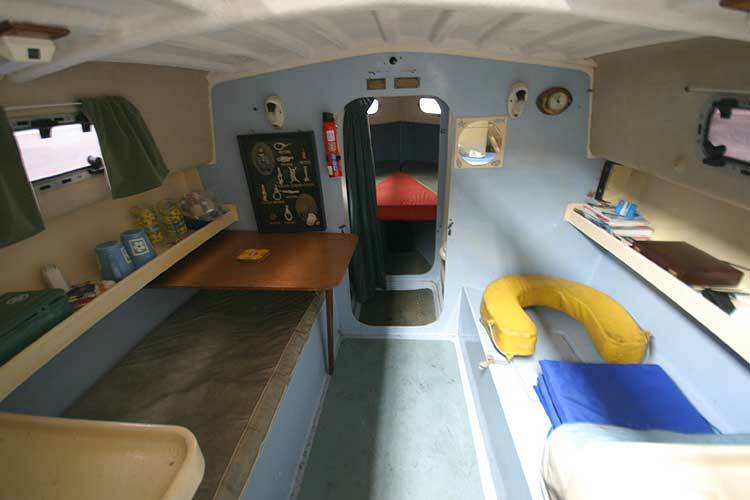 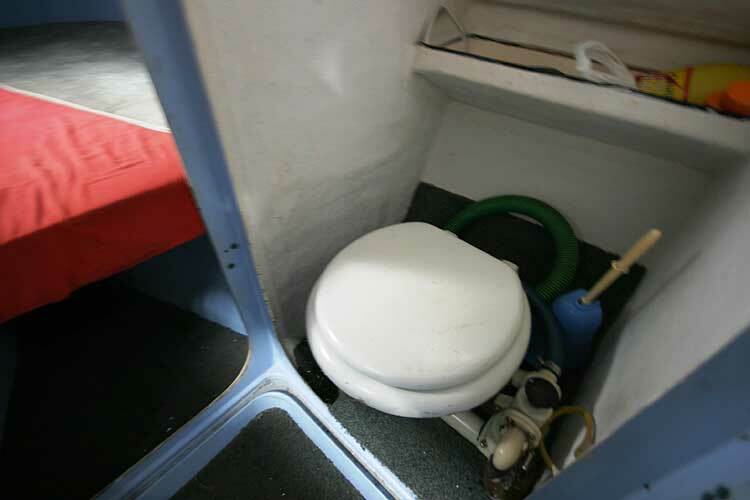 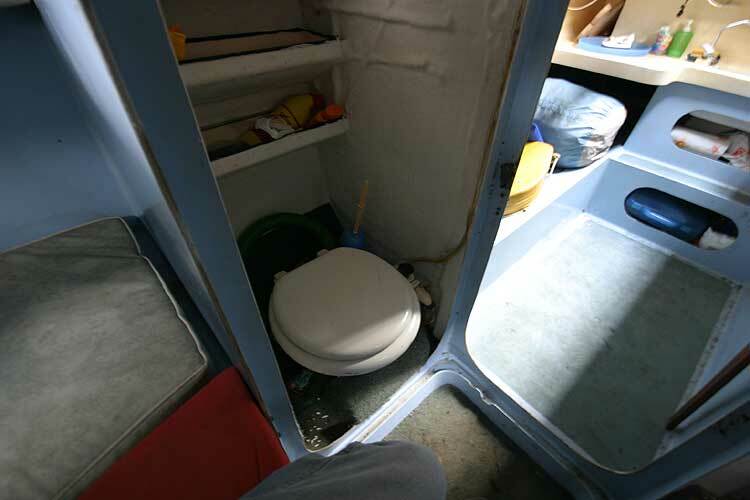 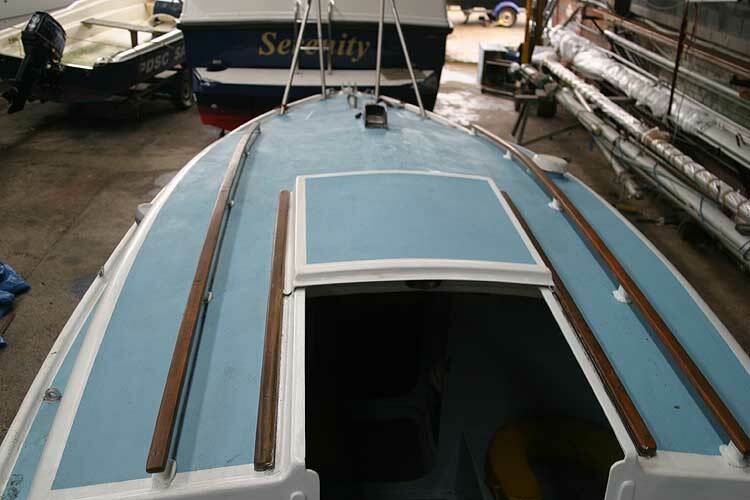 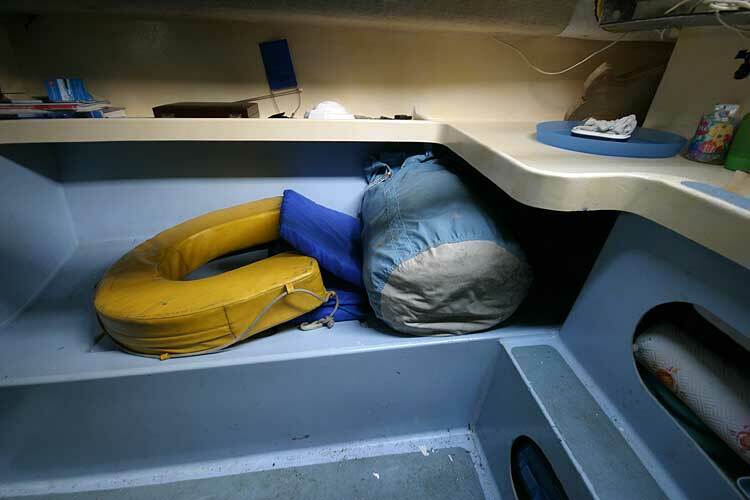 A total of four berths, with a double in the fore cabin, and two settee berts in the saloon, there is a wet locker and a simpson lawrence sea toilet. 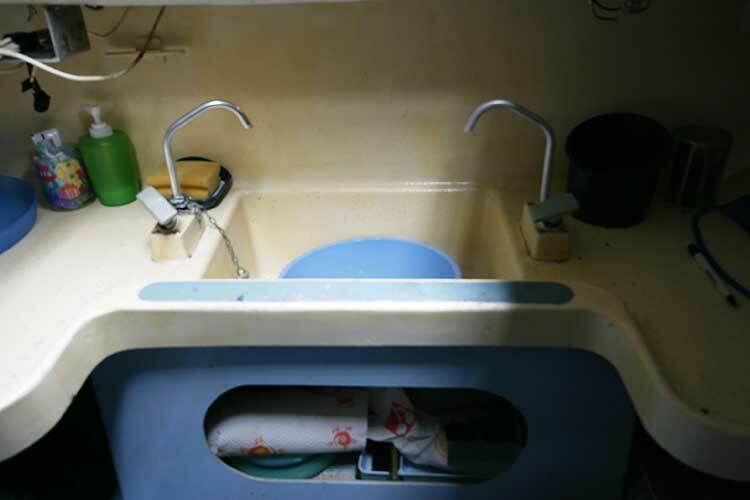 Single sink with fresh and sea water pumps. 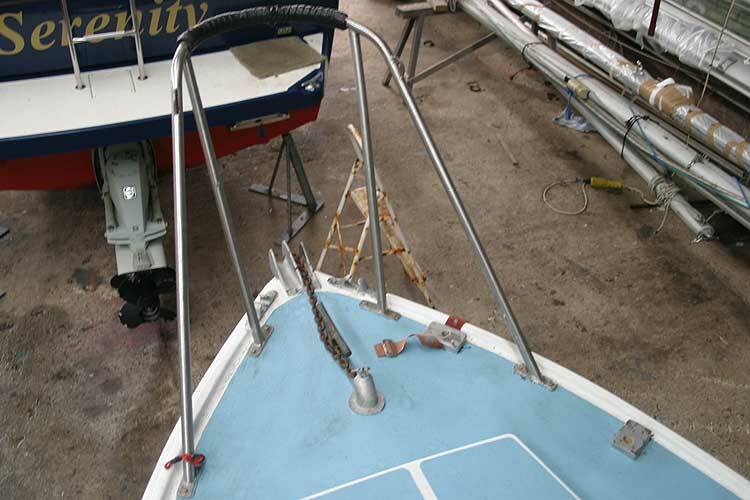 Main sail, furling Genoa (unused) spare genoa, storm jib plus other jibs. 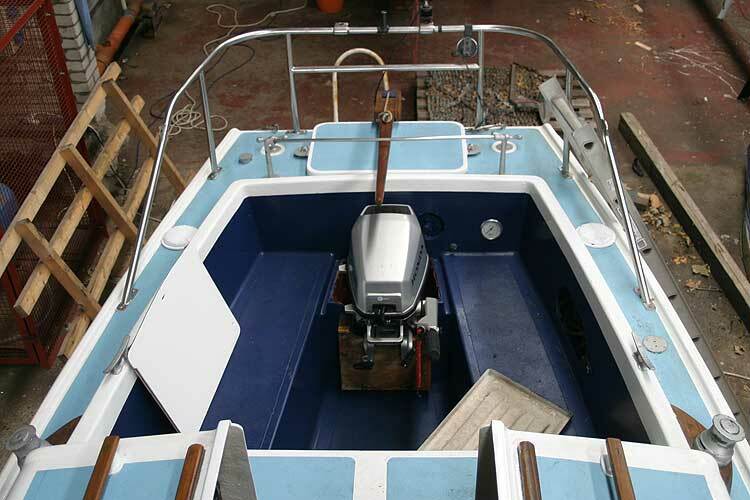 Fish finder,depth sounder,VHF (new) compass. 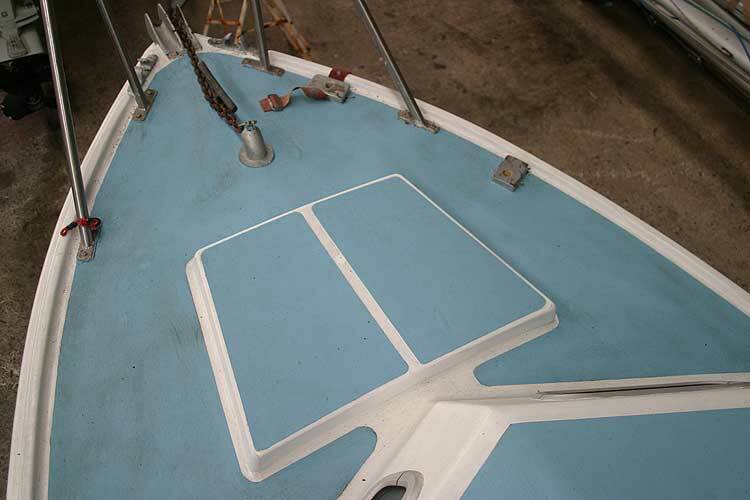 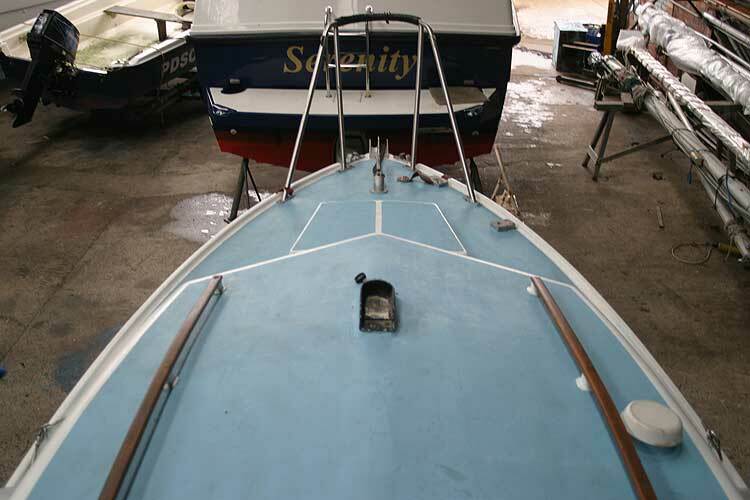 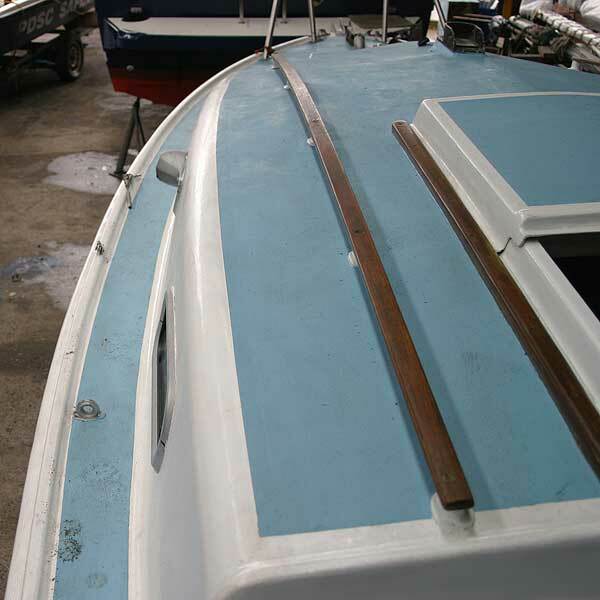 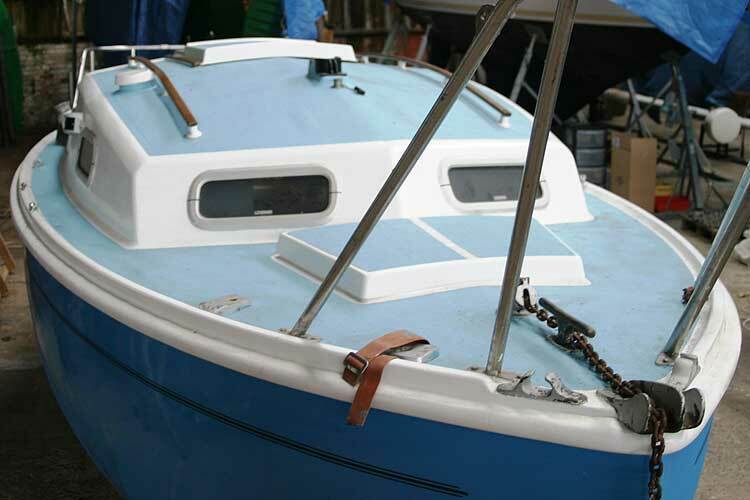 12v system navigation lights, anchor light,deck & search light. 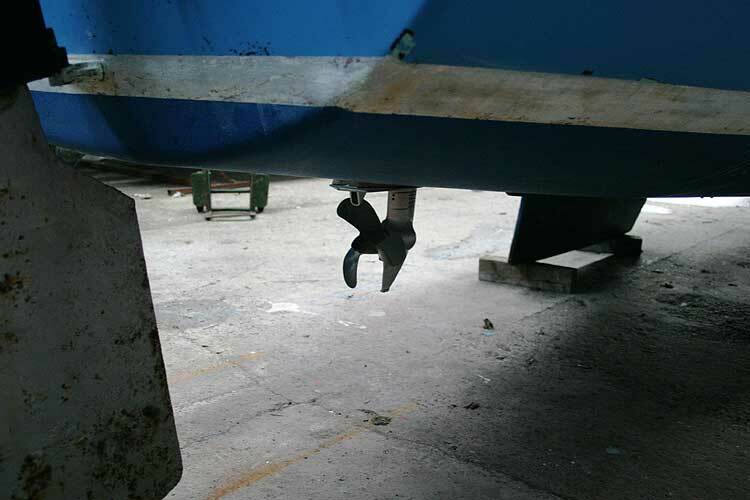 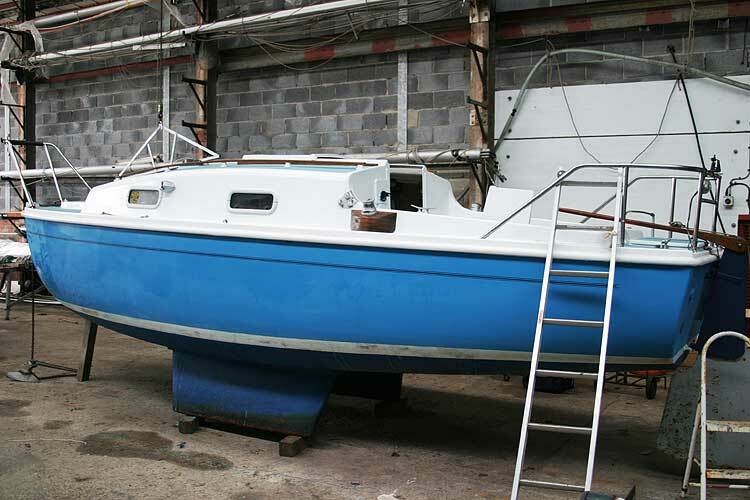 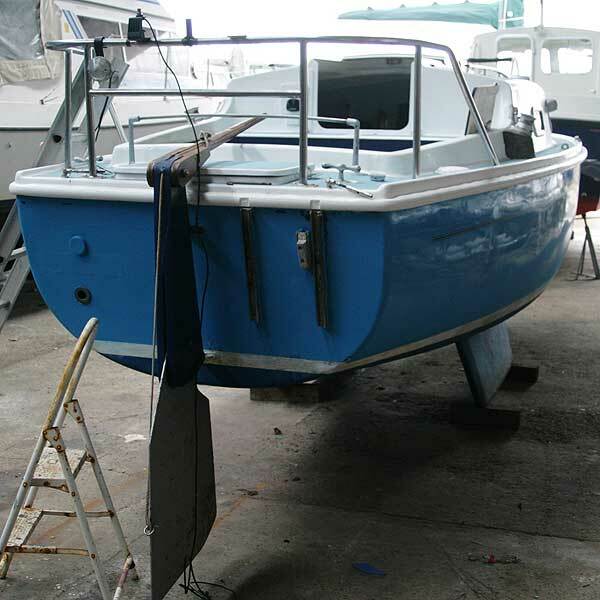 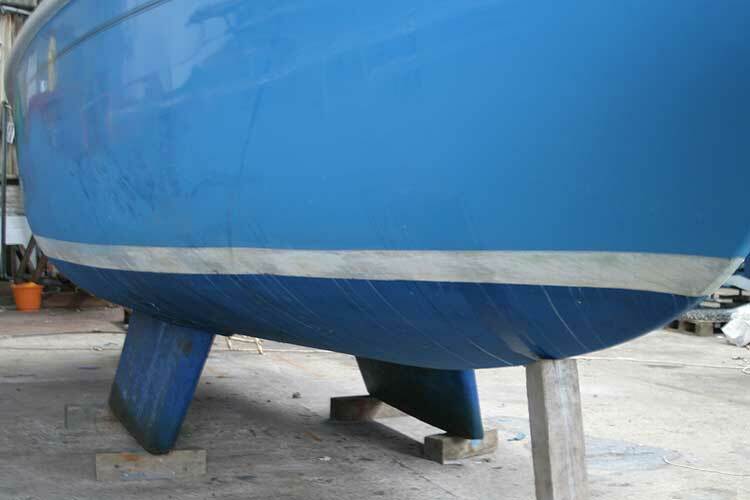 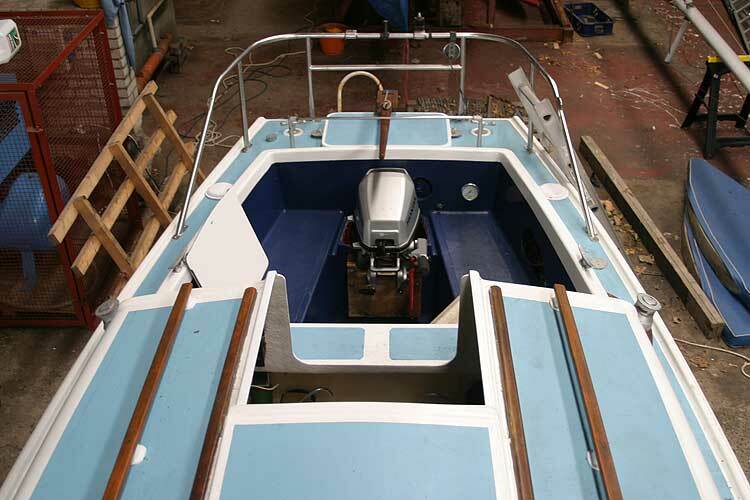 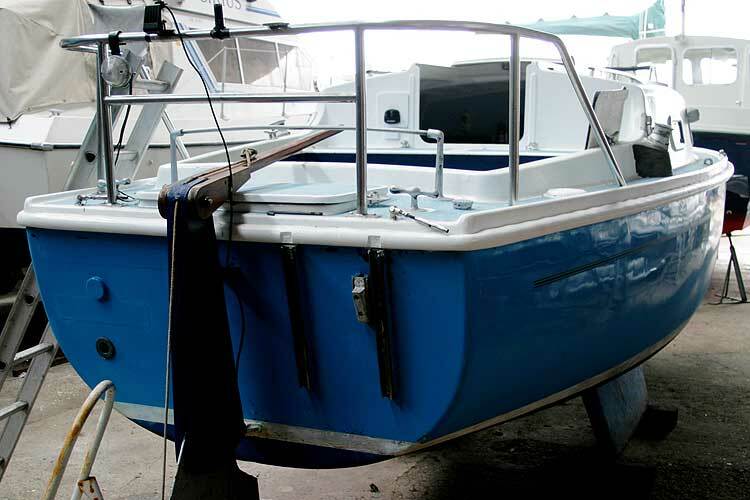 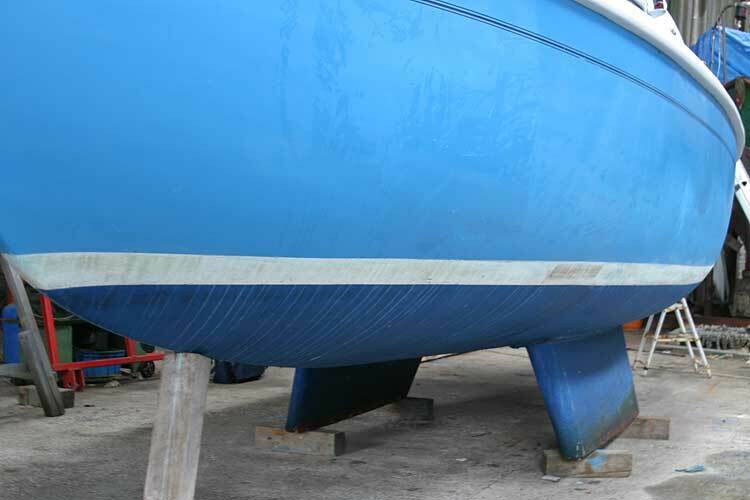 Warps and fenders, safety harness, horse shoe buoy, tender with oars and pump. 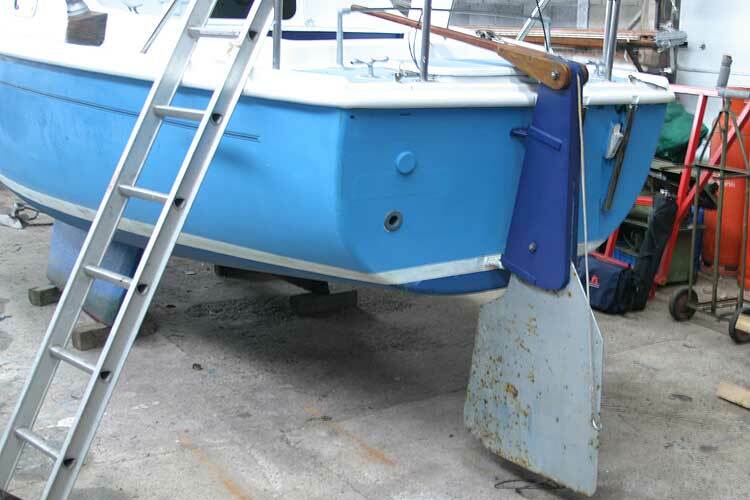 15lb Plough anchor and chain, spare anchor boathook. 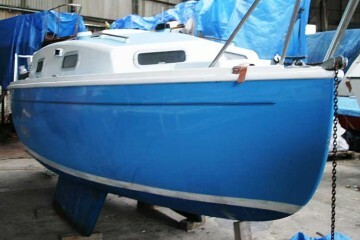 This boat is no longer for sale and remains here solely as an information resource for those researching Kingfisher 20's.